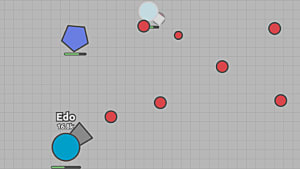 It's just raining new classes in Diep.io over the past few months! At this point the game almost has enough different level 45 classes to fit just about any playstyle. 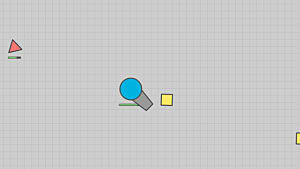 This past update added two new classes: the ultra-fast reload Streamliner and the massive area-covering Spread Shot. 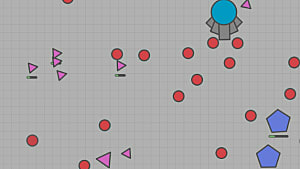 Here we'll be focusing on the Streamliner, which has stolen the hearts of the Diep.io community at large because of of its previously mentioned ultra-fast reloading. It's easier to go the Machine Gun into Gunner route because both these classes innately have higher reload and a larger bullet spread than the Streamliner, making it easier to farm your way up to level 45. So what's up with the Streamliner? Let's be real: You've probably either had to fight or have played as this class already, but let's touch on it a bit. The Streamliner is one of many classes that only fires in a straight line, but it does it so extremely efficiently. Its five overlapping straight-firing barrels shoot one after the other in quick succession, and once you've maxed out your reload stat the bullet stream just doesn't stop. All sound good? Yeah, it does. 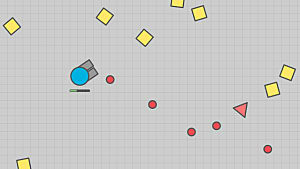 This class has the highest innate reload out of any other tank in the game, along with decent bullet speed. The trade off for this total bombardment tank is its low health, weak individual bullets, and poor innate penetration. You can even the Streamliner's low innate bullet damage and penetration via stat points, but neither are the class's strong points. 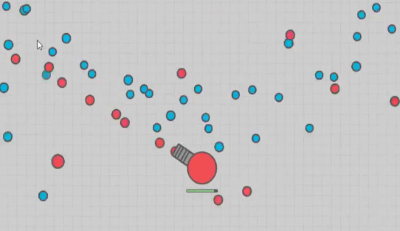 Its health isn't either, and even when going with a 5 or more-point health build you may find yourself being one to three-shot by other players. Your best bet with this class is to go hard. This means pump your stats into your most valuable offensive stats first and foremost: bullet penetration, reload, and damage. While you should get a couple points in health and speed a bit early for survivability purposes, your primary focus should be on the stats mentioned above. 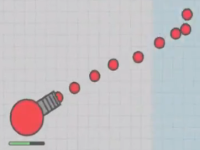 You need the bullet penetration so your bullets are able to go through other players' bullets, you need damage so those bullets actually hurt, and you need reload so your stream of bullets is endless. The Streamliner's extreme single-line firing makes it great for some situations, but totally useless in others. 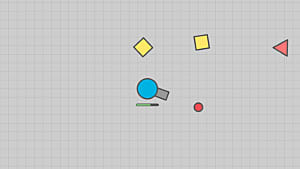 The class is strong against other tanks that also shoot in one direction because its stream of bullets can easily overwhelm them. 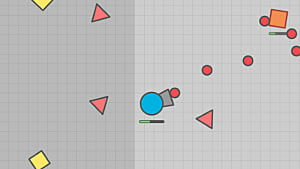 The same can be said for tanks with minions or drones like the Necromancer and Overlord. The Streamliner's constant stream of shots can easily overwhelm their drones open them up for direct attack. But on the flip side? This class can't deal with bullet-spamming enemies at all. The Streamliner is relatively slow-moving so dodging is more difficult than with some other classes. Not only that, but its single row of bullets usually isn't enough to deal with a class spewing out loads of bullets from multiple directions. 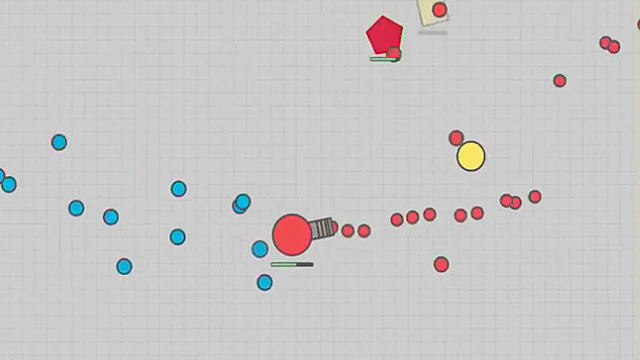 You have to be aware of your surroundings with this tank more so than some others, because multiple enemies surrounding you at once is just as much of a death sentence as being hounded down by a bullet spammer. A big part of playing this class well is keeping an eye on other players in relation to you, and getting out of the way of danger before you're pew pewed into oblivion. 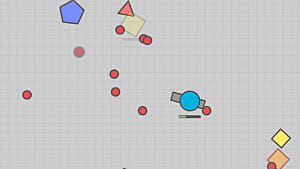 The Streamliner is a welcome addition to the ever-growing Diep.io roster. Not only is it powerful, its constant stream of bullets just looks cool. What's not to love? 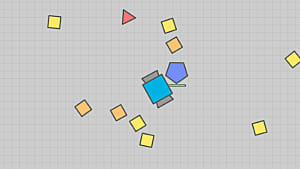 Diep.io - How do you make a melee build?